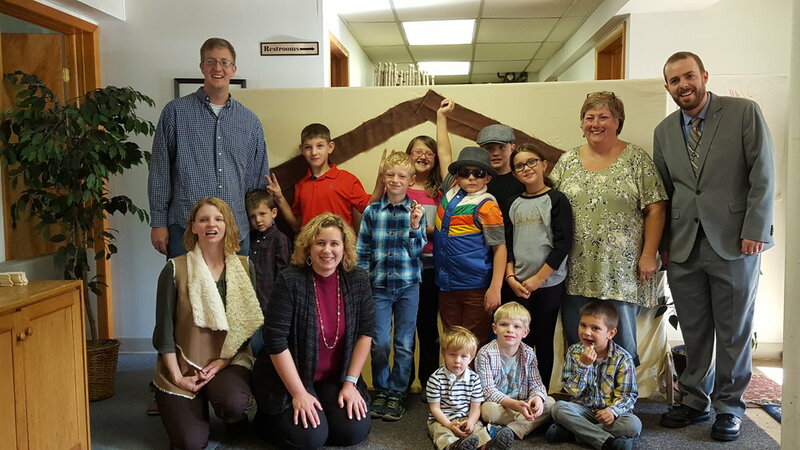 St. John’s offers Sunday School and Bible study for all different age groups. Our goal in Sunday School is to help the children learn to trust in their faith and live by it daily by teaching them the love that God has for all of us and the beauty in service to others. Our adult study helps to continue that mission as adults, living our faith, and being a good neighbor to everyone. We strive to provide everyone a place to discuss and share questions and concerns in a non-judgemental atmosphere. All classes begin on the Sunday after Labor Day each year and finish the Sunday before Memorial Day. Youth Group works year-round on different service projects and their yearly Mission Trip. Our Sunday School and Youth Group enjoy presenting a Christmas Pageant each year as well as helping during service in various ways. We offer classes for Preschool/Kindergarten and Grade school. Here the children learn the love of God and build friendships with classmates. Kids meet each Sunday at 9:15 September through May. Youth in Junior and Senior High are invited to meet for fellowship, Bible study, and mission service. Youth Group meets on the first 3 Sundays each month following worship service. Confirmation Class meets on the 4th Sunday each month. Adults and Youth Group members are invited to study together each Sunday at 9:15 from September through May. We discuss living faith in a world that is complicated. We cover many topics that affect our daily lives, our families, and our church. For our little ones who are not quite ready for class we offer Nursery care, available from Sunday School through Service times year round.